Today is Memorial Day in the United States of America, a very important day to show your American patriotism and thank our soliders for protecting the country. 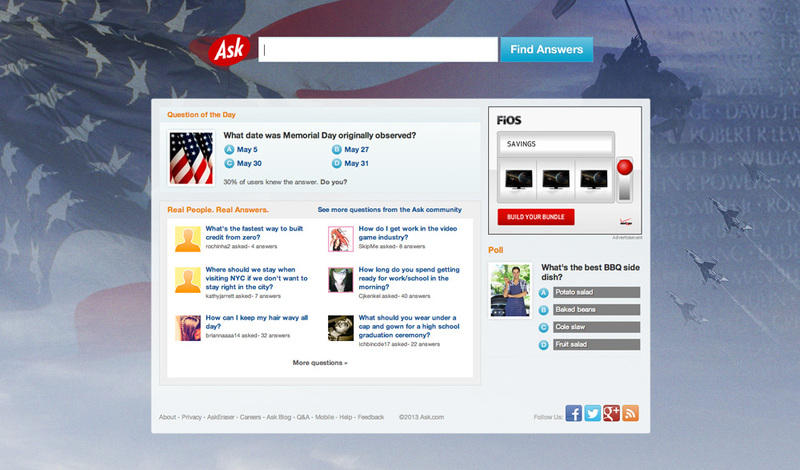 To celebrate the day, some of the search engines place logos, ribbons or deck out their pages with full designed themes. The question is, which is most appropriate? 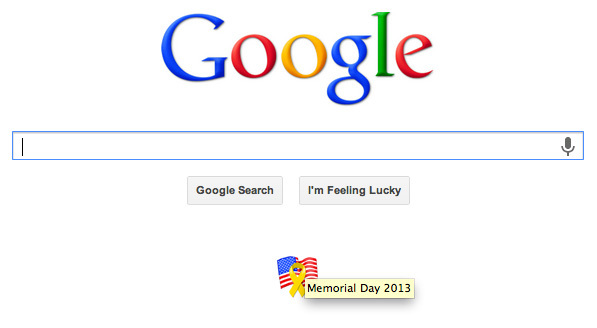 Google goes very minimalistic with a small ribbon, while Bing completely overhauls their background image. Both are very tasteful but some might say Google is doing too little, while others might say Bing is going over the top. Is there a middle ground or are we looking into these things way too much? While Yahoo has no logo at all today.